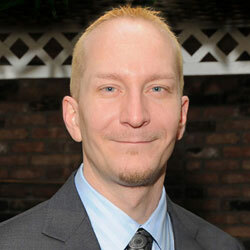 A property stager is another of the commonly utilized names for a home stager or real estate stager. However, some stagers might not limit themselves to enhancing residential listings and might therefore utilize this title instead of others. Home staging is the art and science of preparing a residence for sale by decluttering, depersonalizing, organizing and decorating in a manner which will make the home have universal appeal to potential buyers. Home staging is the most important aspect of real estate marketing a seller can use to get their properties sold fast and for top dollar. This insightful essay draws attention to home stagers and how they can assist property sellers to achieve maximum profitability from every real estate sale. Specific home staging techniques are selected for each property, based on the condition, location and style of the residence. All home staging strategies are designed to bring out the best features of the house, while taking the spotlight off less desirable aspects of the property. Real estate staging is geared towards removing the aesthetic influence of the current homeowner on the residence and creating an atmosphere in which prospective buyers can actually see themselves living in the house or apartment. Home staging is all about conjuring up a lifestyle image which is so positive, that buyers simply fall in love with the property and immediately consider making a solid offer. Working as a real estate stager is very rewarding, since you have the chance to make excellent industry connections, prosper financially and truly help people who are desperately trying to sell their homes. I get tremendous satisfaction from my work as a home staging consultant, since my clientele really values my services and I know I am doing my best to satisfy their needs to market their homes as something special. In order to begin a home stager career, you must first make sure the job is a good fit for your personality and talent aptitudes. If so, then you need to begin real estate stager training to acquire the knowledge and practical skills that you will require to get ahead in this fast-paced business. 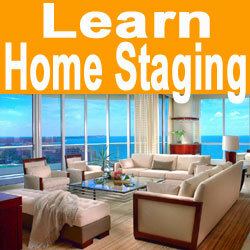 Home staging is rewarding for both stagers and customers. Each benefits from one another, as property staging is a win/win relationship. The stager gets a creative outlet for their talents and also makes a living by marketing real estate with the help of their excellent design skills. The home owner sells their real estate quickly and most commonly for more money than they anticipated. Statistics prove that staging gets a property sold 2 to 2.5 times faster than unstaged homes and for up to 17% more money. With numbers like these, there is certainly no reason to ignore staging as the number one priority when you put your home on the open market. Bonus tip: Make sure to stage first and list the property later to maximize the return on your investment.